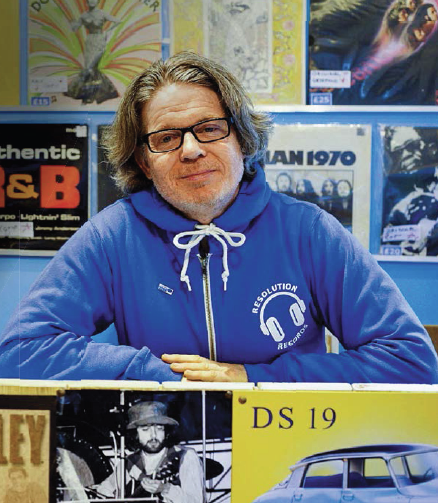 Hunting down record collections in Brixton in the 1990s, Mark O’Shaughnessy comes across a haul of the unexpected kind. 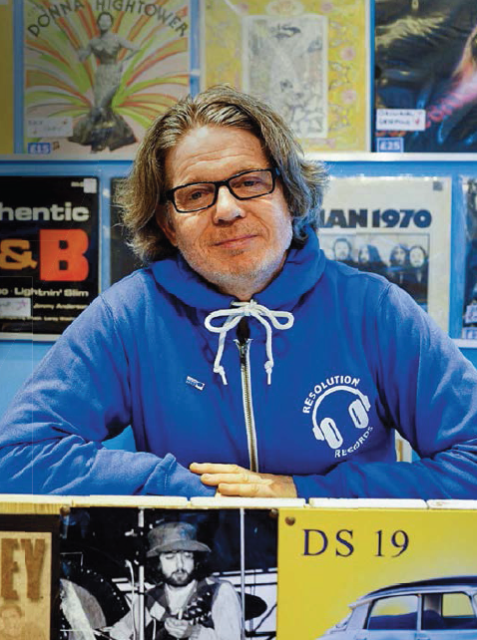 It wasn’t too long after I started out as a professional record dealer in 1992/1993 (where did those 25 years go?) that I began to become ‘creative’ in my search for the Black Gold. 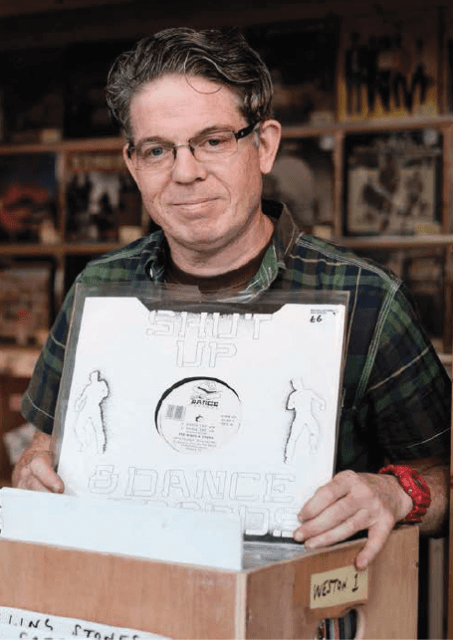 I was living smack-dab in the middle of Brixton at the time (just behind the Ritzy Cinema, if you know the area) and historically, Brixton has always been an absolute goldmine for black music – reggae in particular, obviously. A brief word about Brixton here: back then, it wasn’t ‘hipster central’ like it is now, it was mostly still a dog-rough, run-down, very dangerous and scary place – particularly after dark. It had always been a centre for reggae shops and distribution throughout the 60s and 70s and there were still several stores dotted around the place (Blacker Dread, as recently featured on the TV doc Being Blacker, being one of them), so there just had to be loads of good reggae collections in the area, it was just working out how to get my hands on them. He then proceeded to put the phone down without saying even one more word. Thankfully, this was in the early days of BT’s new telephony, so I was able to do 1471 and call the guy back to get his address. It was two streets from where I lived, on a place called Railton Road, which had been the frontline during the 1981 Brixton riots. I rapped the door and Winston, an elderly chap (late 60s at a guess), opened up. The heat from the flat hit me like a wall, and this was on an already boiling-hot July morning. The heating was on! God help the records, I thought. Winston’s wife was sat looking out of the window onto the balcony, cooling herself with a giant fan, wordless. He took me through to the record room. My heart jumped. There was a whole wall of LPs, spine out, looking very clean and tidy, in artist order, too… yessssss, I thought. But there were no windows in this room; thick shag-pile carpet on the floor and not a fan in sight. I was about to melt. I started poking through the LPs and they were just as good as I’d hoped. But there wasn’t one reggae LP in the whole lot. Instead, there was a whole slew of 1960s/70s, USA/UK and European jazz, with several titles I’d not even ever seen before, let alone been able to buy! I just had to ask an also-sweltering Winston: “Where on earth did you get all of these amazing jazz LPs?” Winston went on to explain to me that he used to be in the RAF and that they used to swap records with the US airmen back in the 60s and 70s – British and Jamaican reggae was bartered for USA Blue Note and Prestige LPs of the same era. I went back later that day and handed Winston over a huge bundle of cash and started loading the LPs into my car, still barely able to believe what I’d found. I was to have one more encounter with Winston about a year later, but that’s another story. It just goes to show that in the record business, preconceptions can be very easily shattered, right?